Mikayla Cowling believes that "pressure makes diamonds" and she is confident that it's time for her and her team to shine. 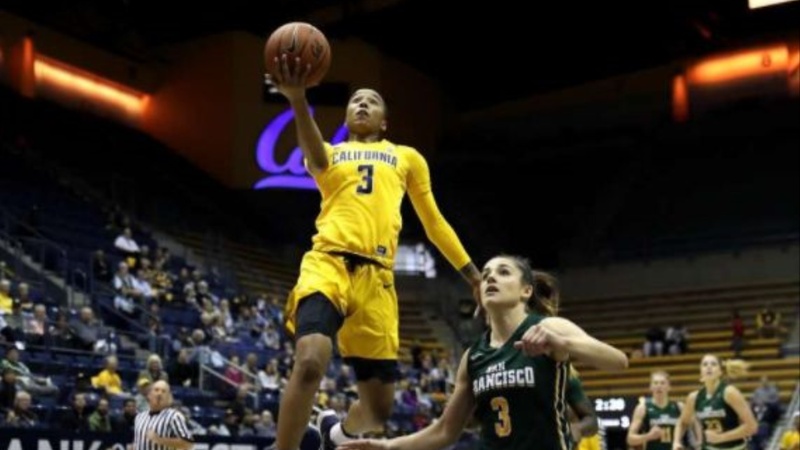 A starting wing for the California Golden Bears, Cowling is having her best season, averaging 9.4 points and 4.3 rebounds per game. The do-it-all wing is has also collected a team-high 47 steals as well as 129 assists. For her efforts, Cowling recently received Honorable Mention for All-Pac-12 and All-Defensive team. In her four years at Cal, Cowling has left her mark on the Cal's record books: 5th all time in assists (468 ) and 15th in points scored (1267). Cowling is ready to lead Cal into the NCAA Tournament, where she hopes the Bears will make a deep run. But before that, Cowling sat down with the Bear Insider for an extended interview. "We've had a lot of energy in practice. We're excited to even be in the Tournament. Last year, we were on the bubble, we didn't even know--we were practicing without even knowing. Now, we're working on our own things, just getting better every day. We're happy, excited. Every day is a blessing to be playing." "It's important to understand life and its phases. We're all young adults trying to figure things out, so you know, obviously, we're going to have ups and downs in our lives, so it may translate into our basketball play. I think the main point is that we stuck together the entire time. We're in a good space right now, so everything we've learned before is coming into effect now." "I'm not necessarily the most... you know a lot of leaders are in your face, screaming at you, or something like that. I'm more the, I'm trying to bring everybody together and understand everyone's abilities. I want them to understand what they can do for us, and encourage them. That's just my style--I'm more a one-on-one type of person, talking to them in a soft manner, getting them to understand, "You're a really good player..." For me, it's just being an example that they can see, rather than trying to dictate to them." Berkeley is a very open place to be--whether it's dressing a certain way or just projecting your identity in a way that's not the most conventional way. Berkeley, the environment and the people here, just very open and liberal. The energy here you can't replicate, and I'm very fortunate to be in an environment that accepts the person that I am. It's allowed me to step into myself more visibly and more comfortably. Knowing I'm kind of safe in a sense, makes me more comfortable with tapping more into myself and digging deeper and deeper. It was a lot of fun to chat with Mikayla. Please take a listen and let me know what you think!